“Creativity is thinking up new things. Innovation is doing new things” – Theodore Levitt. 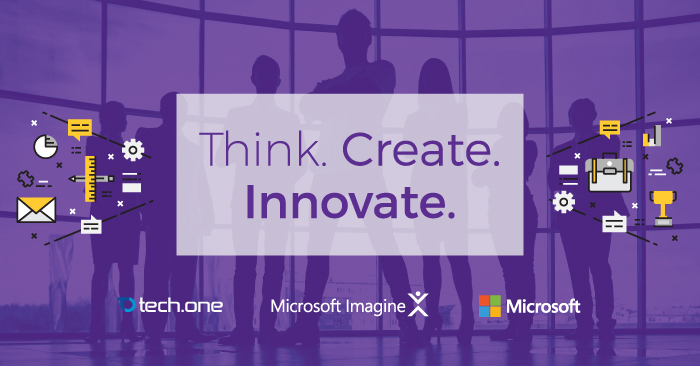 Manila, Philippines — This year, the Philippines was chosen to host The Imagine Cup Finals at Solaire Resort and Casino starting on April 23, 2017 and we are proud that Tech One Global CEO, Lars Jeppesen, was chosen as one of the judges, representing the regional IT industry. The Imagine Cup is a prestigious global competition that Microsoft has sponsored and hosted since 2003. It empowers the next generation of innovators to team up and use their talents in technology to create tech that shapes how humans live, work, and play. The competition encourages young people to apply their imagination and creativity to a business or social problem, build innovative technology solutions to address the problem, and experience the feeling of making a difference in the world. Aside from Philippines’ own innovative teams, National Winners from 11 different countries will also be travelling to the Philippines to compete for a slot in the Worldwide Finals. These students will travel from all over Asia Pacific via Philippine Airlines, the country’s official flag carrier. Innovation is key in staying in the game of digital disruptions. Forbes estimates that by 2020, there will be 50 million IoT sensors around the world and 200 billion “things” networked together by 2030 — further proving that IoT is not just innovative, but a core in the disruption of industries. This puts Imagine Cup in a crucial position in spearheading the next generation of thinking minds. Lars Jeppesen, CEO of Tech One Global, expressed his excitement in seeing what new innovations will sprout from the young minds of Imagine Cup. As an innovator and visionary, he believes that fresh ideas are always the key in moving the world forward. Lars believes that digital transformation is characterized first by the transformation before the digital; innovations happen not for the sake of innovation but because of the core concepts that beg for a different approach. A mindset that Tech One Global itself operates with. For over a decade Tech One Global has been committed to offering client-oriented services focused on facilitating Digital Transformation — efficiency, innovation, and creativity in the field of Information Technology (IT) and Cloud Computing. The company provides diverse services which caters to both enterprise and SMB clients as well as the Public sector including software development, enterprise software deployment and licensing, document management, and knowledge process outsourcing. Tech One Global is the Microsoft Country Partner of The Year 2017 in the Philippines.